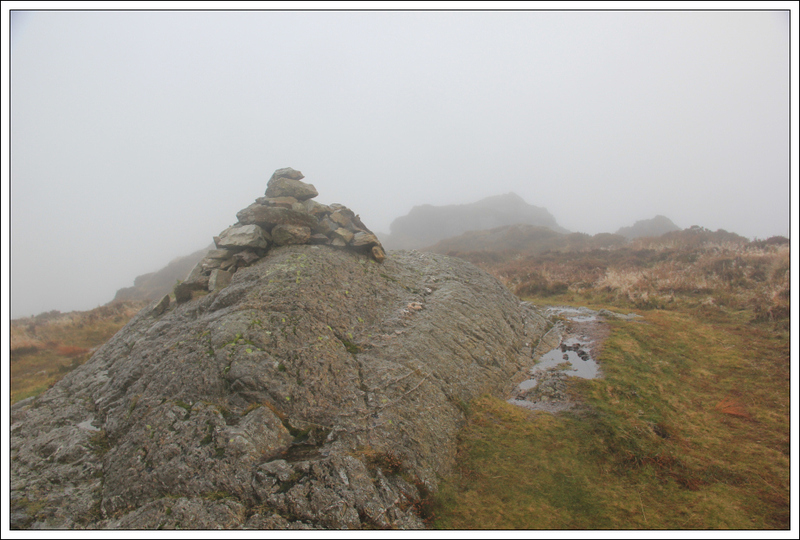 As the weather today was poor I decided to stay low and set out to ascend two Sub2000ft Marilyns. 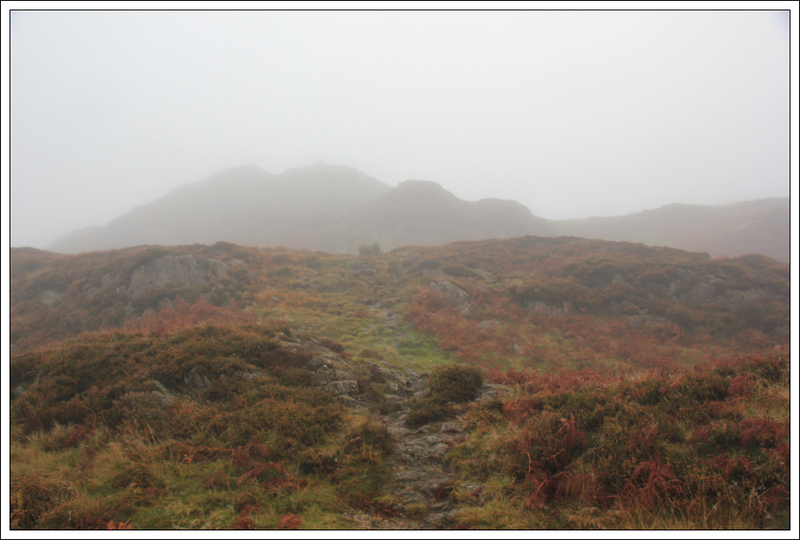 Firstly I decided to ascend Holme Fell. 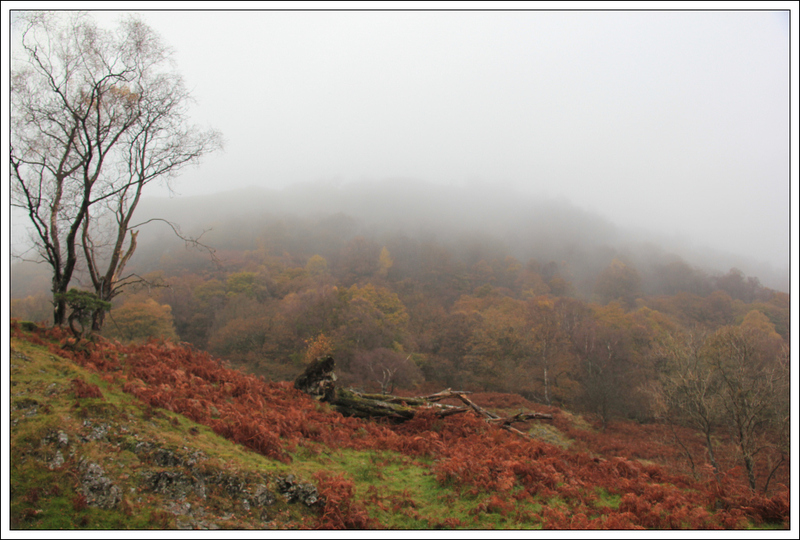 Holme Fell is also a Wainwright. I initially parked in the small National Trust car park near Yew Tree Farm. However on realising the charge was £3.40 for two hours or £5.90 for the day, I decided to look for some alternative free parking. 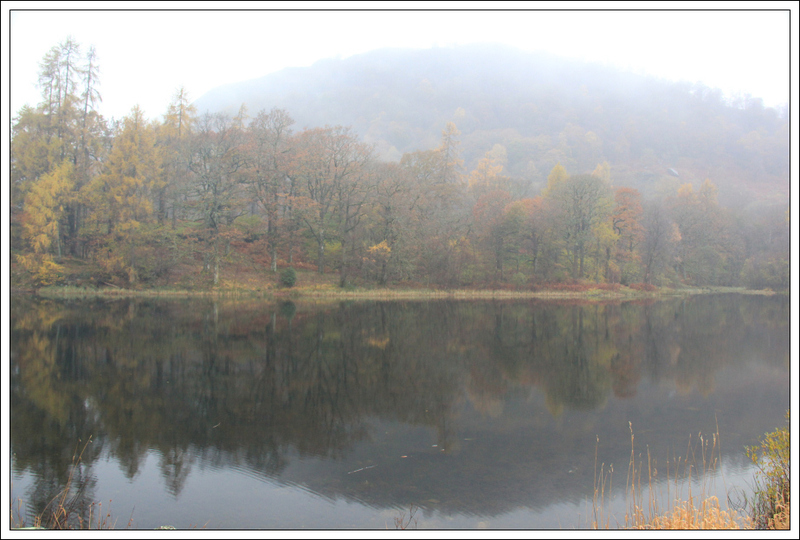 Instead I parked free of charge a few hundred metres along the road in a small lay-by next to Yew Tree Tarn. From Yew Tree Tarn I walked back down the road to the National Trust car park and then a couple of hundred metres round the corner to Yew Tree Farm. 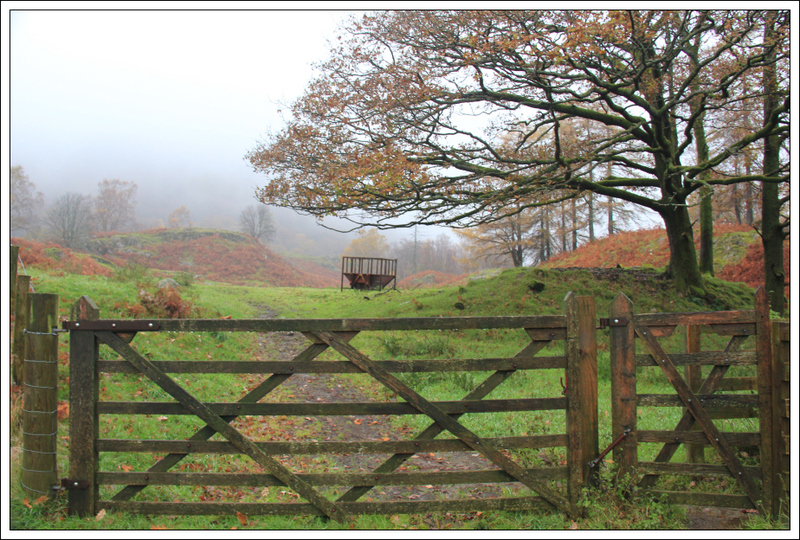 I went through a gate to the immediate right of Yew Tree Farm and then followed the track towards Holme Fell. 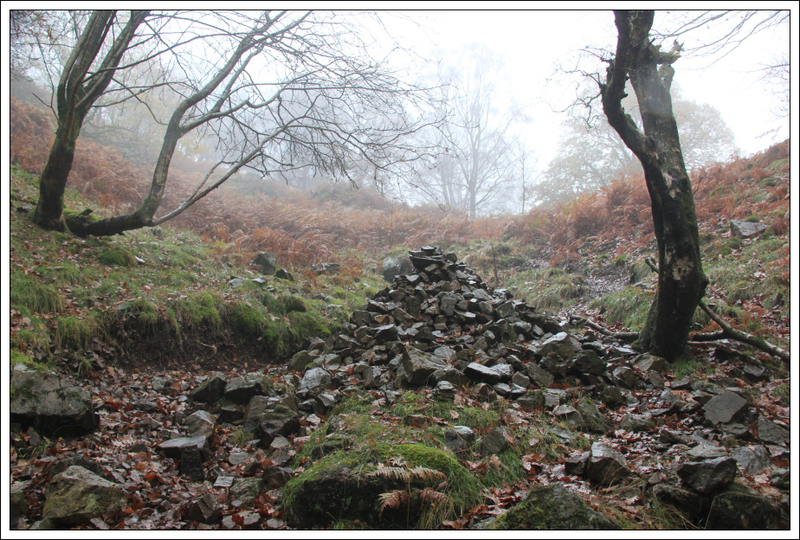 After passing through three gates in total I followed the track towards a large boulder. 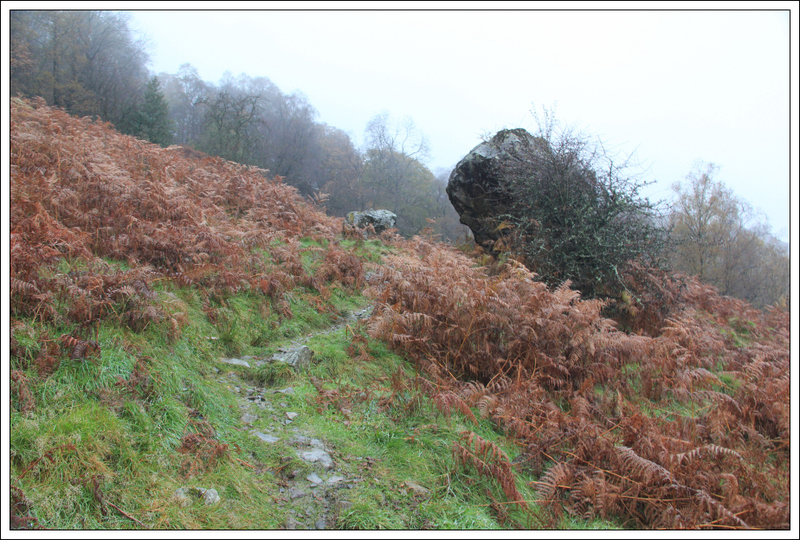 At the large boulder the path split in two and I opted to take the upper path which appeared to ascend Holme Fell. 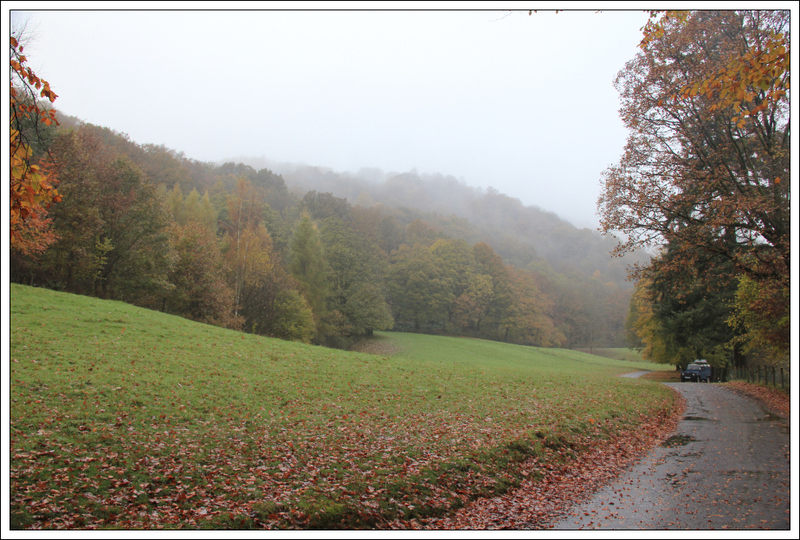 The GPS was useful today given the low cloud. 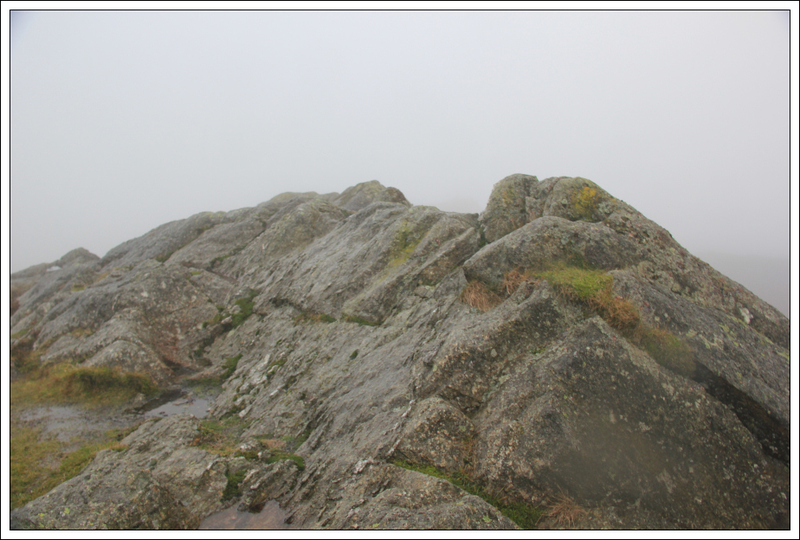 I eventually reached the large cairn and then continued on to the summit rock sixty metres beyond the cairn. 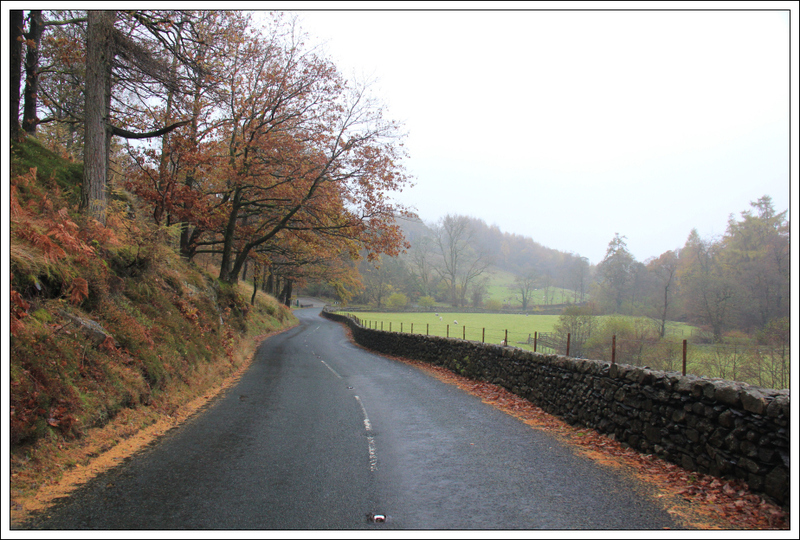 I returned to the car via the same route and then made my way round to Windermere for an ascent of Claife Heights. 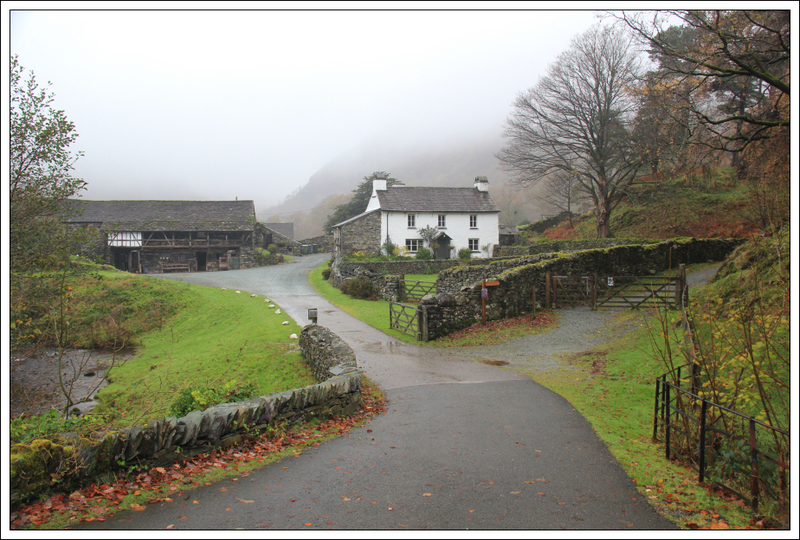 For the second time today the car park was a National Trust one with the same charges as per the Holme Fell car park. 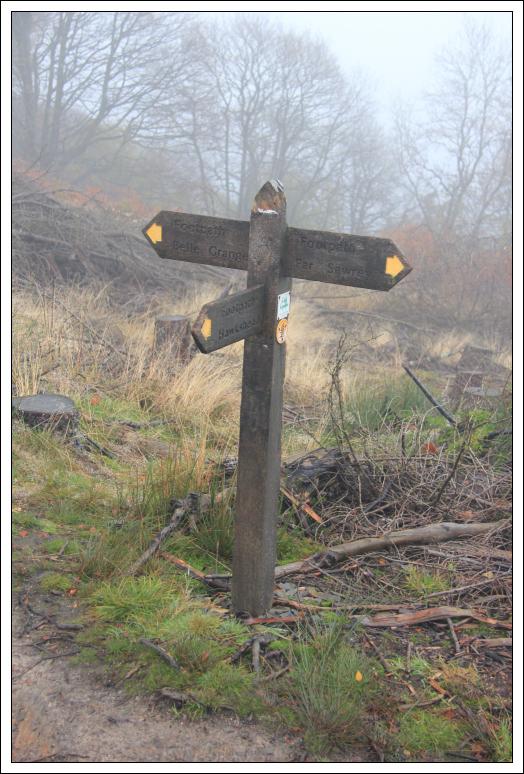 This time I paid the £3.40 and therefore had two hours available to ascend the hill. 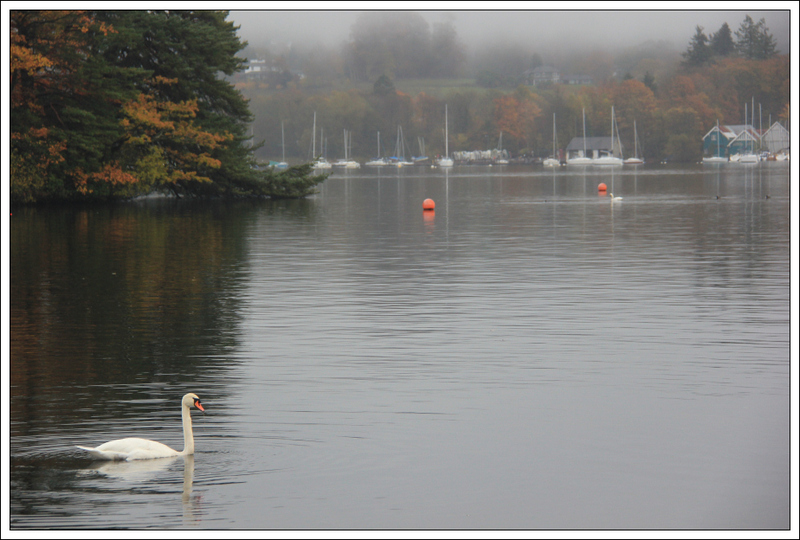 The initial walk alongside Windermere was lovely. 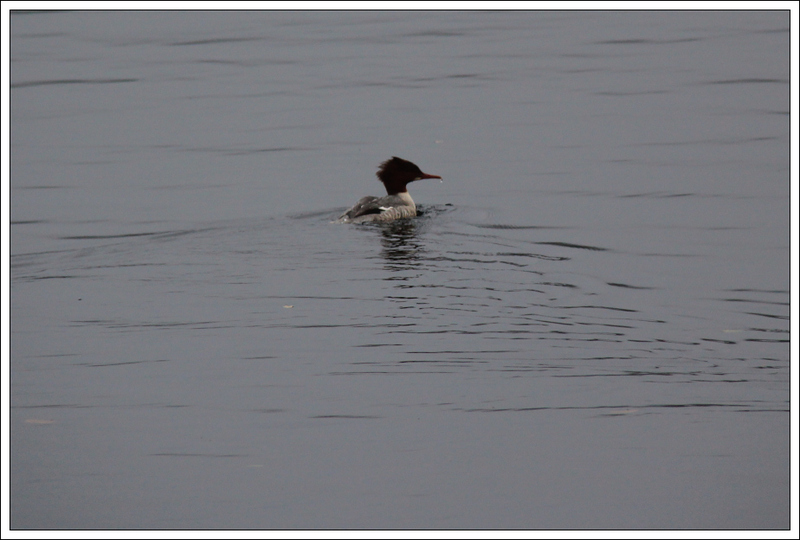 There was lots of birdlife on and alongside the lake. 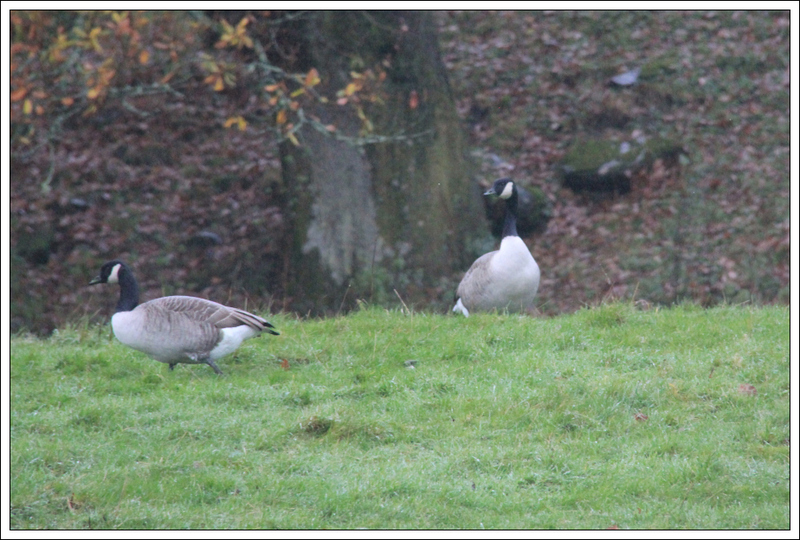 Next to the lake was a flock of at least fifty Canada Geese. 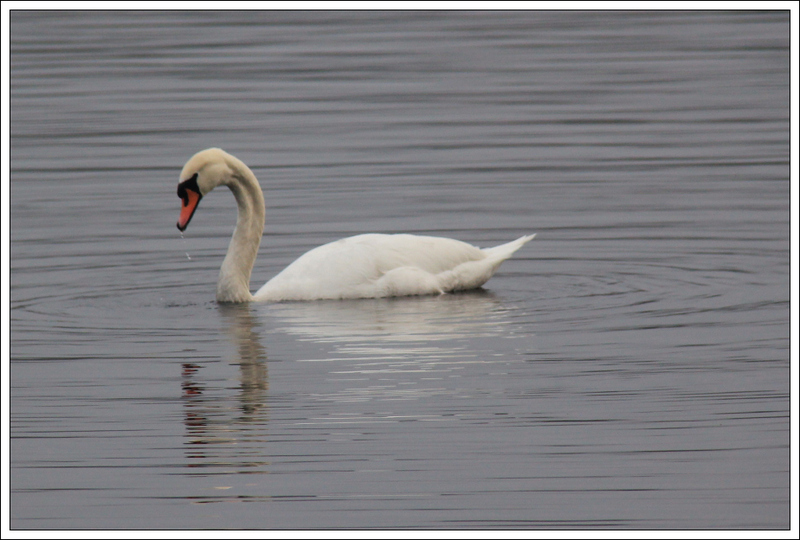 There were also a number of Mute Swans on Windermere. 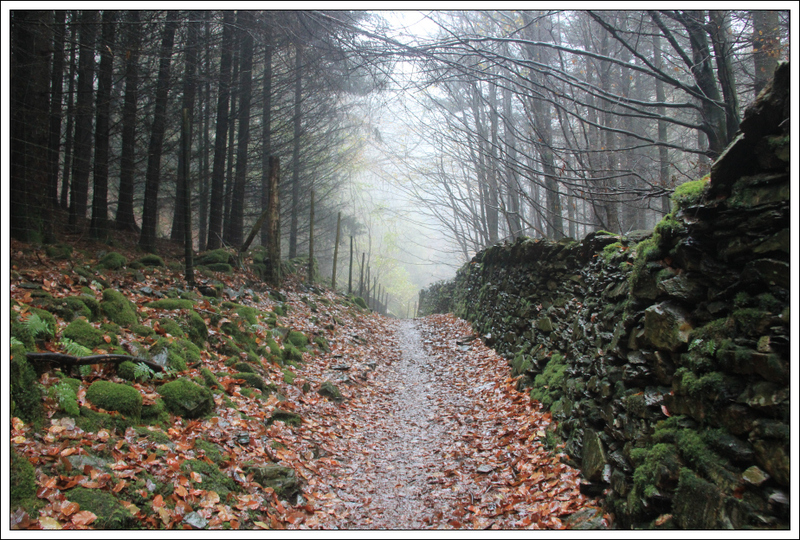 I continued along the lakeside road for circa one kilometre before taking to the hillside. 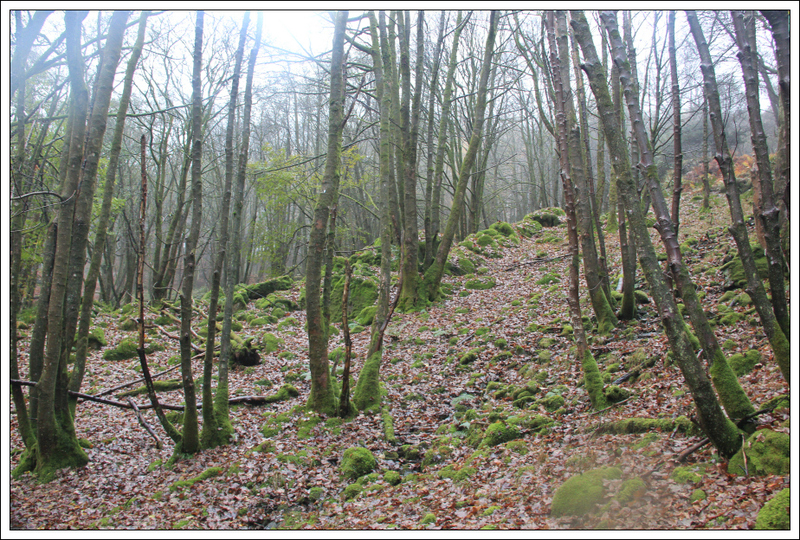 I could find no trace of a track ascending up through the forest. 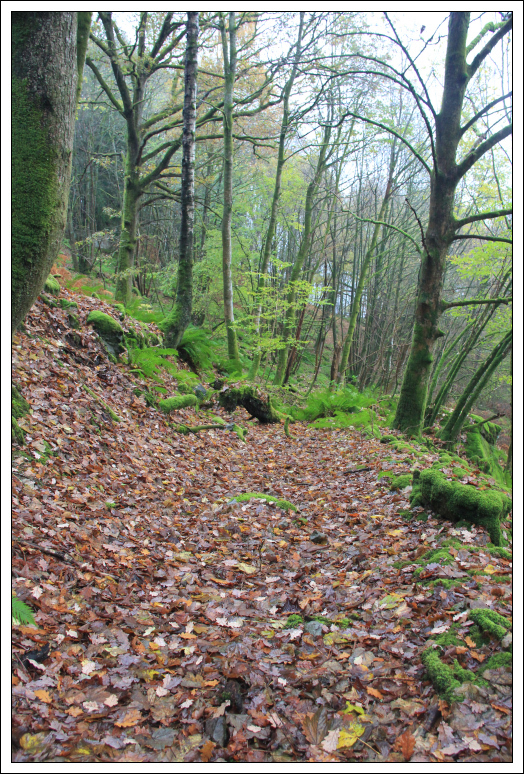 There may well be a track but there was so much leaf litter if it was there it was well hidden. The ascent up through the leaves was fairly slippery. During the ascent I guessed I would fall on my arse on the way back down. I was right! . 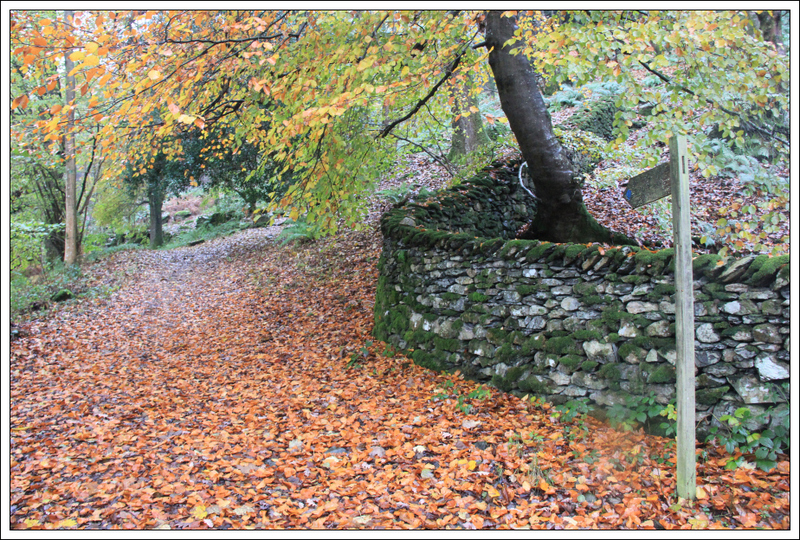 I eventually reached a hole in the wall and then followed a fairly good track on the other side of the wall. 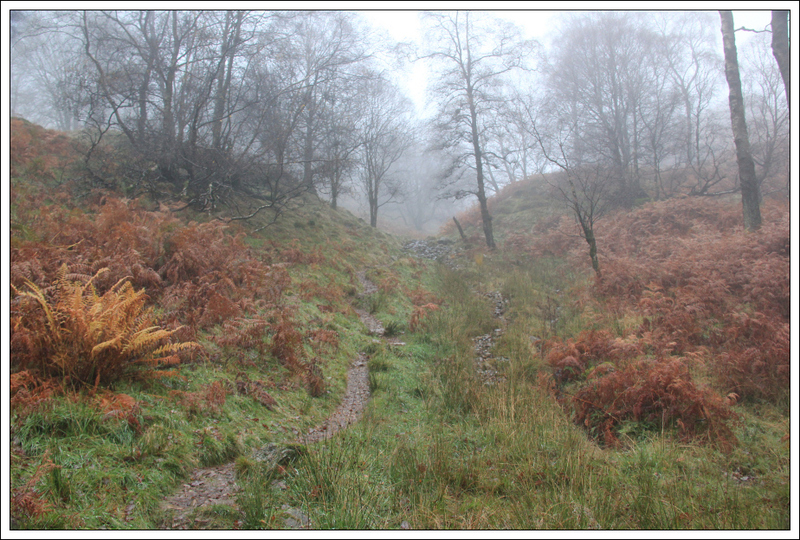 I followed the good track as far as a track junction and then took the track towards Hawkshead. 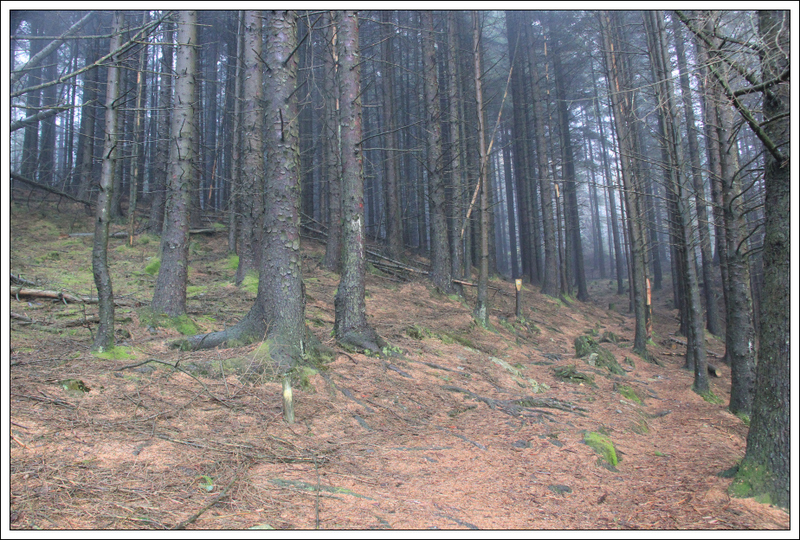 The next section of track was not great – there has been a lot of tree felling up top. 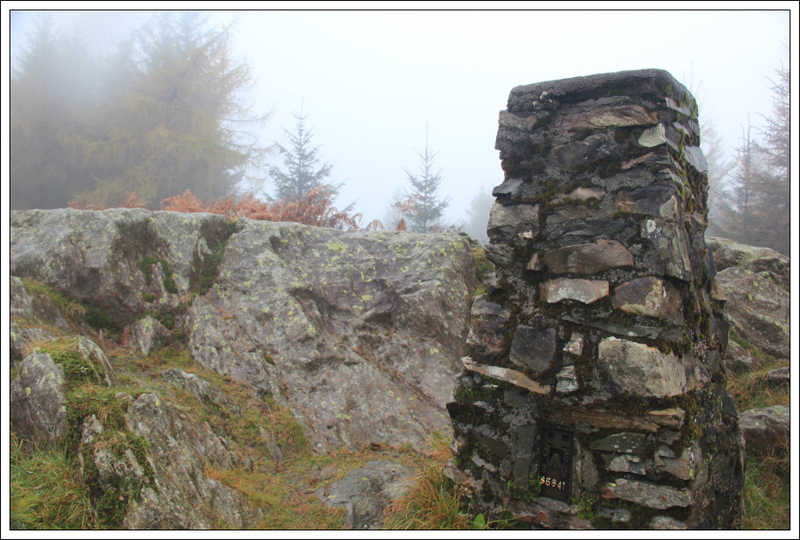 However there are a number of useful marker posts that take you all the way to the summit. In the wood I decided to head directly for the summit. 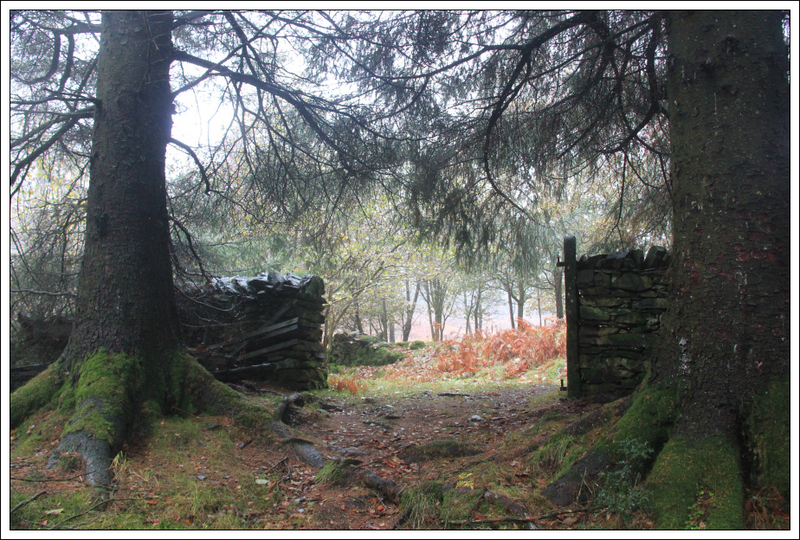 This resulted in heading through some high bracken. 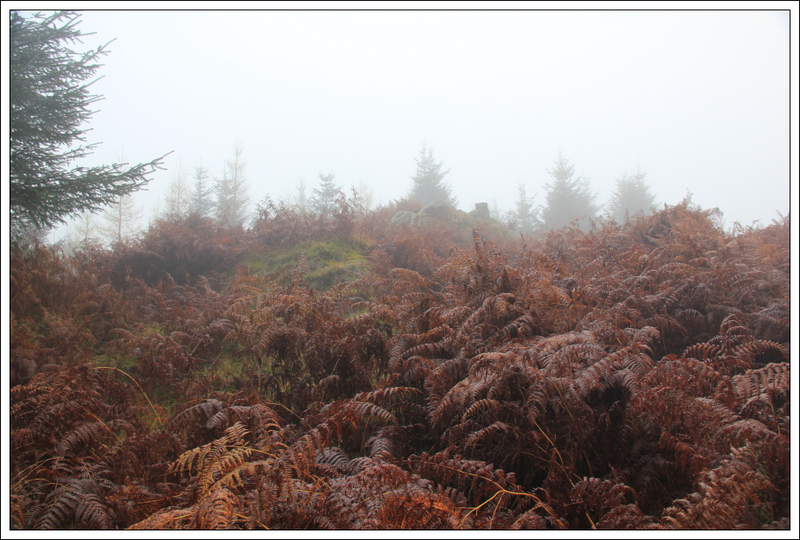 I avoided the bracken on the way back down by following the track! I reached the summit 1Hr 10Mins after leaving the car park. I therefore had only 50 minutes to get back to the car park within 2Hrs. I returned to the car via the same route. I got back to the car after 1Hrs 50Mins of walking but that was going fairly fast much of the way. 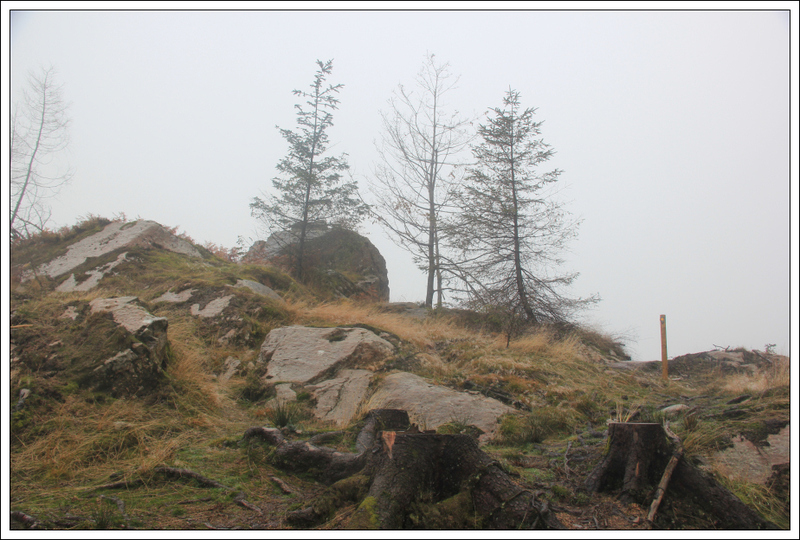 While it was good to ascend two new Marilyns today, it did rain non-stop from start to finish .